Drawing on a fascination with home-made props and blending imagery from sources as diverse as Frank Zappa, the Mickey Mouse Club, and 2001: A Space Odyssey, Joel Hodgson and his team created a title sequence with its roots in UHF television broadcasting. Tom Servo, Crow, and the rest of the gang show their seams unabashedly, embracing the spirit of the movies so endearingly skewered aboard the Satellite of Love. Joel Robinson’s space-borne imprisonment by distant jailers is a trial of the will, every film a battle. Each successive gauntlet of schlock that Joel (and the viewer) survives drives these tormentors further and further into manic desperation. How bad will they get? How bad can they get?! Joel and his impish robot companions may be prisoners to cinematic dreck and straight-to-video garbage, but no matter how terrible the film, they joyfully embrace it. The journey to Mystery Science Theater 3000 reminds viewers of the true meaning of “so bad it’s good." 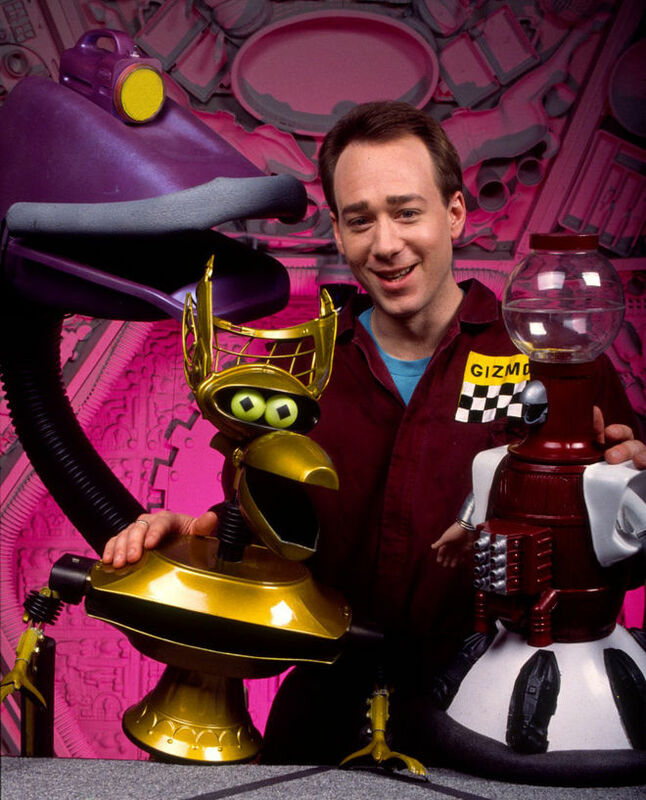 A discussion with MST3K creator JOEL HODGSON. Can you give us a little back story/history on yourself? JH: Sure, I was born in Wisconsin and have always been interested in funny visuals and the moving image. How did you originally conceive of the opening titles to the show? It was an evolution. We were doing all we could to make it as intensely interesting and visual as possible. We used a model railroad aesthetic to realize each iteration – there were actually three versions: the shows at KTMA, and then the first and second season for the Comedy Channel/Comedy Central. Each new version seemed to build off of the previous one in both content and energy. Looking back, I realize that the opening stayed pretty true to the one at KTMA in terms of putting forward the thesis of the show which is basically: movie riffing, robot puppets, goofy characters, and cheap DIY visuals. We never storyboarded, but there were a few very rough sketches. 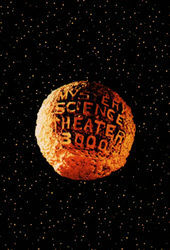 I collaborated closely with Trace Beaulieu to create the visual elements for MST3K. We would really just make it up as we went along – we would just set about building it. I believe Trace did an actual almost-architectural design for the set which he constructed from the ground up. This was after a few conversations we had about using Buckminster Fuller’s geodesic domes as a theme. 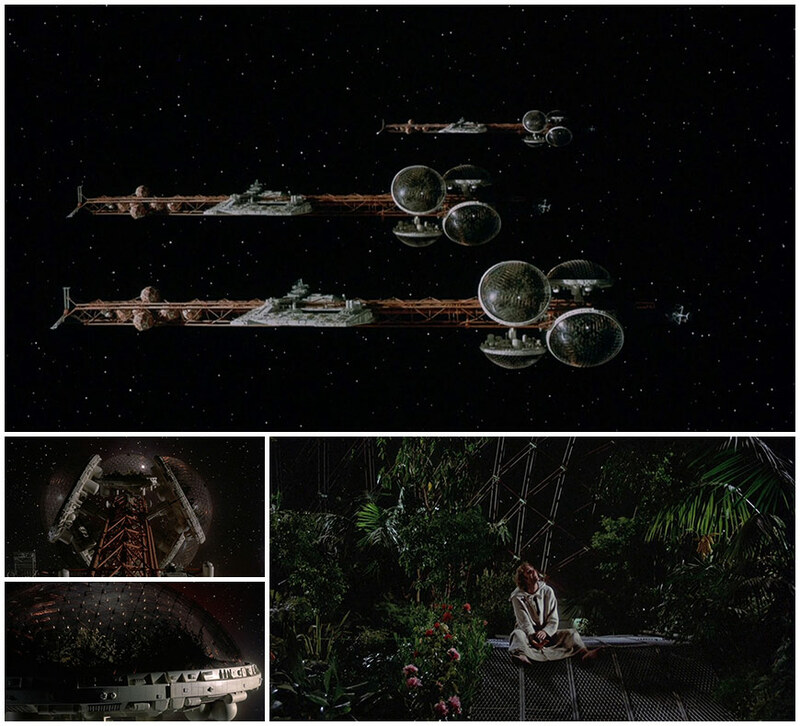 It fit because they used geodesic domes in Douglas Trumbull’s Silent Running, which MST3K is loosely based on. Trace is much more of a craftsman than I and he really stepped up our game. I’m comfortable getting things on their feet and roughing things out, but you need a guy like Trace with a critical eye who can then do the expert execution. Or at least, expert for us. Once all the elements were built, we put it in the hands of Jim Mallon and Kevin Murphy who lit the sets and models and ran the actual shooting and supervised the edits. The rest of us were then off-camera pulling the strings and later in the edit bay, giving our two cents’ worth. We improved immeasurably from the first title sequence to the third, which is my favorite. Describe the production of the title sequence – how, when, where etc. The first opening sequence was shot at the studio at KTMA in 1988, while the second and third iterations were shot at the Best Brains studios in Eden Prairie, Minnesota in the early nineties. Jim and Kevin were responsible for actually getting everything to stick to videotape, and by that I mean they had the production know-how. But really, everybody threw in, even Josh Weinstein, who admittedly is not accustomed to being crafty. He hung the star field that resides behind the Mystery Science Theater 3000 moon. Even future show host and head writer Mike Nelson drove the car to Menards to get hardware and supplies and helped in the construction. Can you speak to the “arts and crafts” nature of the titles? I love that homemade aesthetic – an aesthetic where you can see the seams. The example that comes to mind is an SNL sketch from the seventies, when Frank Zappa was the musical guest. It was called “Night on Freak Mountain” and at a certain point they cut to a pretty crude model – which was supposed to be an exterior shot of Freak Mountain – and right away everyone in the studio audience laughed. I found it so charming, funny and real. Were you a maker before doing the show, or did doing things like the invention exchange turn you into a maker out of necessity? I was always interested in making, and probably started in about second grade, trying to make people laugh with visuals. My Dad is and was very funny and would also fabricate funny things for gifts or for events, so I picked up a lot from him. As a teenager, I was interested in magic and there are many makers in that culture – you simply had to be if you wanted to present something new. Also, making everything “in camera” was the best way to proceed since we really approached things as an ensemble. Eliminating as much post-production as possible made it so we could all sign off on the way things looked. If you notice, once the show got rolling we all took turns taking a director credit, however we first and foremost did it as a group – we all signed off on the best take before we moved on. It was a single-camera show, and since it was a puppet show, there are only a few places to put the camera anyway. I suppose we created the concept of a director so we could appear to be a real TV show. Tell us about the robot creation. Did you have a background in puppetry? Yes, along with stage magic I was also into ventriloquism – nerd alert! I actually started as a ventriloquist prior to magic. And if you look at the way the bots are made, it is based directly on a ventriloquist dummy’s stringing. By that I mean I used a “head-stick” mount. This was counter to what Jim Henson and most puppeteers of that time did, which was to use the human hand to animate the puppet. I’ve always felt that using a head-stick was a much more comfortable way to puppeteer, and since these characters were meant to be robots it would be alright if they were more rigid in their movements. So the controls and the puppeteer’s hand are actually about 18 inches from the head of the puppet because of the use of a head-stick. I could go on and on talking about head sticks! Naturally, once we were getting paid at The Comedy Channel, Trace and I were able to go in and spruce up the bots, so Trace redid Crow and I redid Tom Servo and Gypsy. For the show name, why 3000? And why Mystery Science Theater? The word “theater” is in there for obvious reasons. I saw the words “Mystery Scientist” used in the promotional material for Magician Harlan Tarbell, creator of the Tarbell Course in Magic. Also, there is the great Sun Ra and his “Myth Science Arkestra.” Myth Science Theater sounds sort of like you are lisping, so I went with Mystery Science Theater. The 3000 was a joke on all the people that were attaching the year 2000 to various programs. In the late ’80s it was everywhere: "America 2000" was something that George Bush Sr. was talking about a lot so I thought, ‘Wouldn’t it be cool if I name it 3000 just to confound people?’ But there was a lot of confusion about it. I never meant for the show to take place in the year 3000. That simply makes no sense! If it is the year 3000, then why are all the films and the references about the end of the 20th century? For the concept of the show, it’s just a series number like Galaxie 500 or HAL 9000. Fords aren’t from the year 500 and the HAL wasn’t from the year 9000. In hindsight, I think it’s likely that the Mads were trying to snazz up the name of the show by tacking on the 3000. Was the zooming through the doors an homage to Get Smart? No, I have heard people from our cast say that, but they obviously didn’t know what they were talking about. I realize that it does look like the doorway sequence from Get Smart, but that was not what I based it on. I based it on the cartoon safe from the original mid-sixties version of the Mickey Mouse Club. It was the place where cartoons resided and they had to open the safe to get to the cartoon – brilliant! So I just wanted the movie to take place somewhere other than the sort of place you would normally get. I was trying to make a visually interesting journey to the theater with a wide variety of doors and airlocks. It may be based on sequences I’d seen in old movies where there would be many curtains opening up to reveal the act that would be on stage – it could be Busby Berkeley, but I’m not sure. Also, this doorway sequence actually helped us arrive at an interesting shape for the SOL, which is long and has living quarters at one end and the actual Mystery Science Theater at the other. Trace got the unique bone shape of the Satellite of Love based on the moment in 2001: A Space Odyssey when the bone/tool from primitive man gets thrown up and turns into the spaceship – genius. And obviously, the term “Satellite of Love” is an homage to Lou Reed, who, to me, is the architect of punk rock. Who wrote the theme song lyrics and music? Josh Weinstein and I wrote the lyrics and Charlie Erickson and I wrote the music. This was in the late eighties. I was hoping to place the tone of the song somewhere between Devo, The Replacements, and The Rivieras – the guys who sang “California Sun.” I remember singing the original lyrics to Charlie along to the tune of “California Sun” as a sort of springboard to get it all going. The Rivieras - “California Sun"
Also, we really took our cue from the song. Prior to writing it there were no “bosses” who shot Joel into space, and obviously the Mads are very important to the overall story of the show. A few other important parts of the theme song became the creative arc. Things like placing the show in the time of “Next Sunday A.D.,” so it takes place just one week into the future. Also – and this is my favorite part – “If you’re wondering how he eats and breathes and other science facts, just repeat to yourself, ‘It’s just a show, I should really just relax.’” This line is truly the guide to almost everything that is successful about what we did because it informed us and the audience of what to expect and how to behave. Talk about your public access origins – what kind of support did you get and how did the transition from that to getting paid happen? It started at KTMA, which wasn’t a public access channel but an independent UHF channel that showed a lot of reruns like Andy Griffith and Leave it to Beaver and lots of cheesy movies. Jim Mallon and Kevin Murphy were both working there – Jim was the station manager and Kevin was an editor – and they were sort of running this channel and trying to make content. 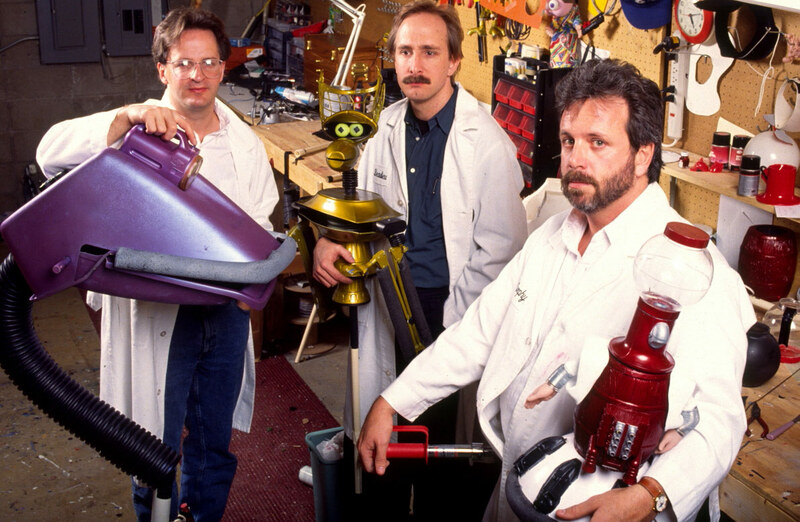 I pitched the MST3K concept to Jim Mallon and he agreed to make a pilot. For the first iteration, Kevin Murphy constructed the flats for the set and the doorway sequence based on my design. I then did the finishing work by adding all the surface action, the kinetic toys, as well as the painting. I also built the models for the rocket and Satellite of Love, the large dimensional Styrofoam letters for the title Mystery Science Theater and the robots. How many of the films were public domain? How did you deal with the rights? It wasn’t an issue because KTMA had already licensed the films for the Minneapolis area. Once we went to Comedy Central/Comedy Channel, the licencing was done by HBO Downtown Productions. However, the act of clearing these films is an ongoing event even now because there is a film for every show in MST’s almost 200 episodes. So when Shout Factory releases a new set of DVDs the process must be revisited but they have an amazing staff that keeps making our product even better. Who or what inspires, or has inspired you, in your career so far? Oh, I don’t know – I am constantly amazed at what is happening in the world, especially the maker/DIY movement. I check out BoingBoing. It’s amazing what people do when left to their own devices! Also, I have to profusely thank Trace Beaulieu – the whole thing just wouldn’t have happened without him and I actually took the time to have him look over my answers here to make sure they met his satisfaction just so I’m covered. 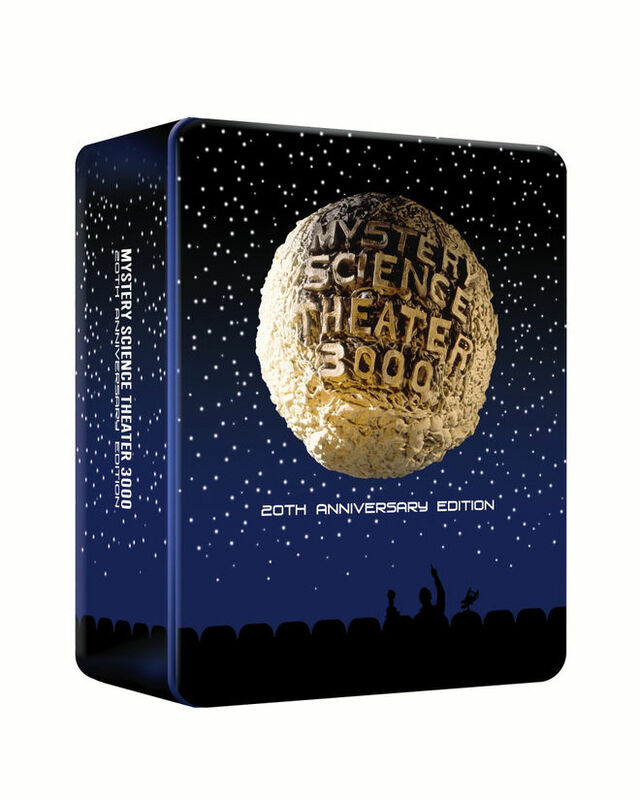 Nowadays I work with the original cast of MST3K on a project called Cinematic Titanic, which is essentially a live concert of movie riffing – we’ve recorded 12 DVDs and have done over a hundred live shows. Also I am the creative lead for media for an upstart aerospace company called Cannae, which has invented a new type of satellite engine called the Q Drive. Buy 80 Episodes – Watch them forever and ever, anywhere and everywhere.